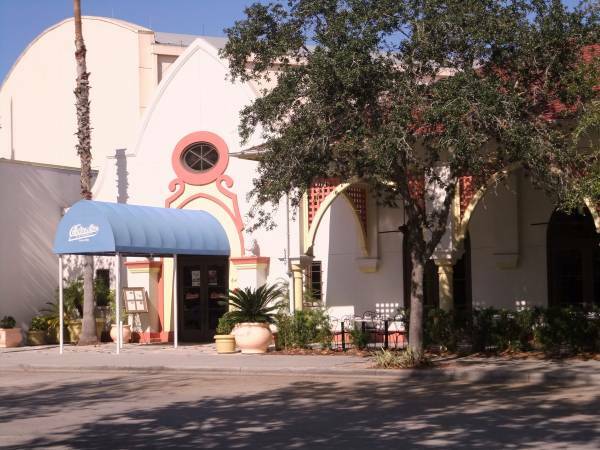 We have visited Celebration, Florida on a regular basis for the past six years but have never sampled the cuisine at Columbia Restaurant. This summer a chance conversation with another visitor to Florida aroused our interest in the restaurant as they highly recommended it to us, stating that they never visit Florida without seeking out one of the retaurants in this small chain. 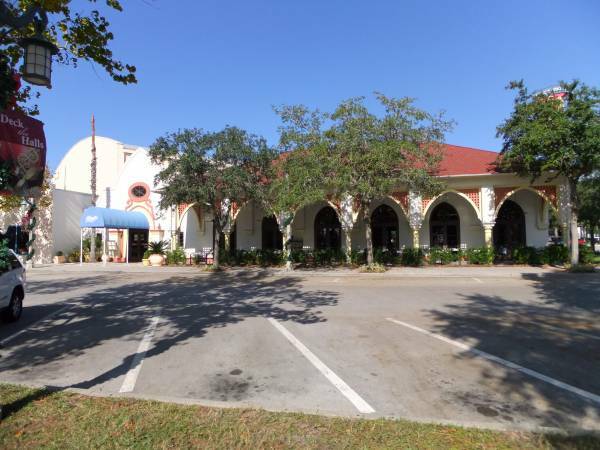 The first Columbia Restaurant was founded in Tampa' s Ybor City in 1905 by Casimiro Hernandez Snr and since then they have opened 6 more restaurants in Florida. The one in Ybor City is now the oldest restaurant in the state of Florida and can seat 1, 700 people in its 15 dining rooms. This restaurant, which was refurbished in 2004, now encompasses an entire city block. Columbia in Celebration opened in 1997 and is situated on at 649 Front Street, adjacent to the cinema. The restaurant is open daily for lunch and dinner and, despite the size of the restaurant, reservations for dinner are recommended. From the moment you enter the restaurant, there is a feeling of stepping back in time. . . you are greeted at the host' s desk by a full suit of armour before entering into the main restaurant which has a high ceiling with numerous chandeliers. There is a large amount of dark wood used in the room, some of which is used to create a series of dining booths, and the walls are hung with paintings featuring the likes of Don Quixote. Ornate tiles and an assortment of typical Spanish pottery complete the effect. As well as the booths there are numerous tables in the restaurant or you can choose to sit outside on the substantial deck. Columbia serves a mixture of Spanish and Cuban food. Our very helpful and knowledgeable waiter was keen to share some of the history of the restaurant with us and to give us a guided tour of the menu, unusually working backwards from the deserts to the appetisers! ! He made recommendations within each food choice or course, giving a detailed description of how the food was cooked, the type of sauce it was cooked in and making personal recommendations. The appetisers are, on the whole, of the Tapas variety and there are many different choices. Most people seemed to be sharing a selection of the Tapas dishes to start their meal and we did the same. A note of caution. . . . . don' t choose too many as they are of a generous size and you can quickly become full! In addition soup and salads are available and Columbia are famous for their original 1905 salad. This salad is tossed at your table and comprises crisp iceberg lettuce with julienne of baked ham, natural Swiss cheese, tomatoes, olives, grated Romano cheese and garlic dressing. In 2008 this salad was named one of America' s top ten salads by USA Today. A wide choice of entrees are available and you can choose from chicken, meat or fish in addition to traditional Spanish Paellas and Cuban dishes. Many of the dishes are made from recipes dating back to the start of the restaurant chain and to its founder. For example, Arroz con Pollo ' Valenciana' is one of Casimiro Hernandez Snr' s original recipes that helped make the Columbia famous and is a combination of chicken sauteed with extra virgin olive oil, green peppers, onions, tomatoes, garlic and herbsand baked in casserole with Valencia rice then splashed with Chardonnay wine and topped with green peas and pimentos. Also Snapper ' Alicante' was a dish created by Casimiro Hernandez Jnr. and is highly recommended by his grandchildren. Unfortunately we did not have room for desert but the waiter was keen for us to hear about the White Chocolate Bread Pudding topped with Bacardi Rum. Again this was a family favourite and appears to also be a favourite of staff and customers alike! The restaurant also offers a fully stocked bar. It might come as no surprise that one of its signature drinks is Sangria. This is served in a traditional Spanish pottery jug complete with wooden spoon to stir the fruit. Viewed 3574 times since 1 November 2010.